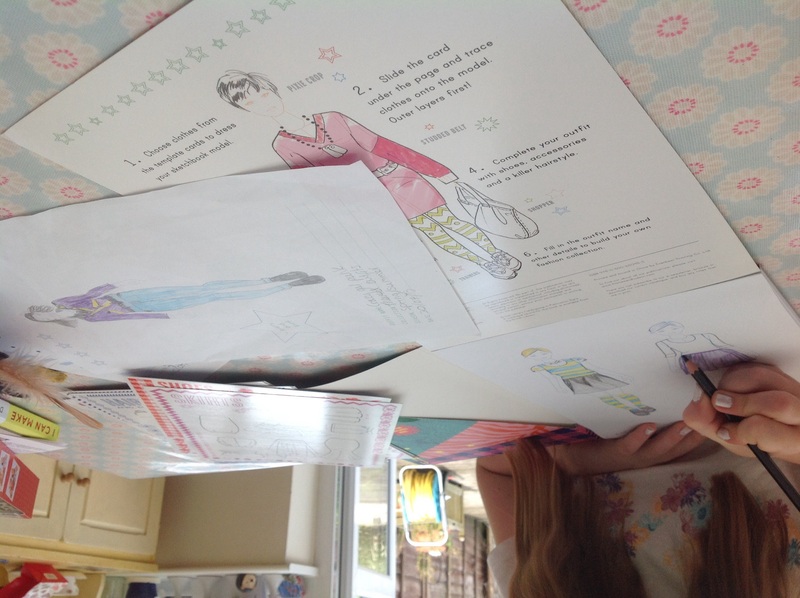 I have a budding fashion designer at home, and she loves any sort of activity book to do with clothes and fashion. 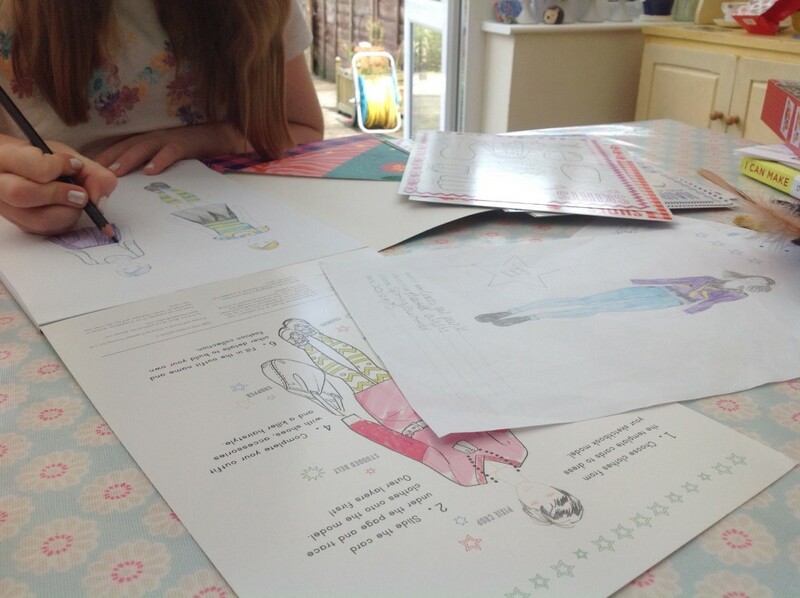 So she was chuffed to find out that Thames & Hudson were publishing two very stylish fashion activity books, one on designing clothes, one on sewing them the latter created and designed by Louise Scott-Smith, who is a children’s wear designer who has worked for Liberty London, and Georgia Vaux, who is an graphic and book designer as well as an art director. 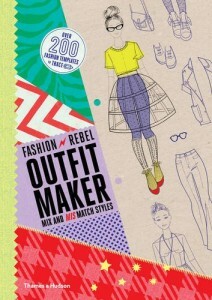 Fashion Rebel Outfit Maker is a great hands-on introduction to fashion design and what is really brilliant about it is that it is based on tracing, rather than drawing, giving those budding designers who might still be lacking confidence in their ability to draw a great starting point. 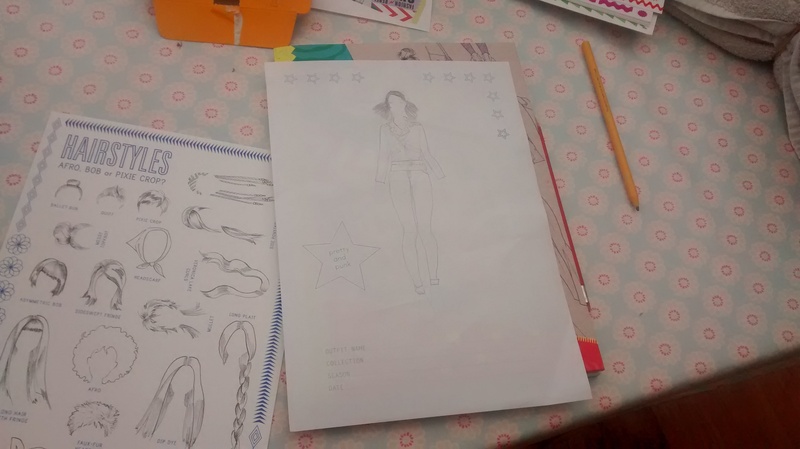 The pack includes a great selection of cards which include over 200 templates overall, as well as a sketchpad of tracing paper with an outline over a model drawn onto each page. 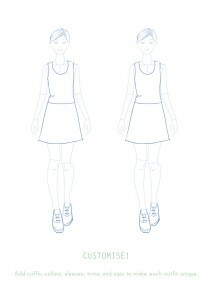 Young designers can overlay one on the other, choosing each accessory as they wish and creating unique outfits each time, encouraging them to investigate what their own styles might be. Some of the silhouettes are themed (“colour clash”, “future fashion” to name a few) but it is in no way prescriptive and outfit makers can choose to ignore it and do their own thing. My daughter loves this book. It is such a great tool to nurture creativity and individuality, and whether outfits end up looking mainstream or completely wacky, it is the designer’s very own and she really loves that feeling of achievement. 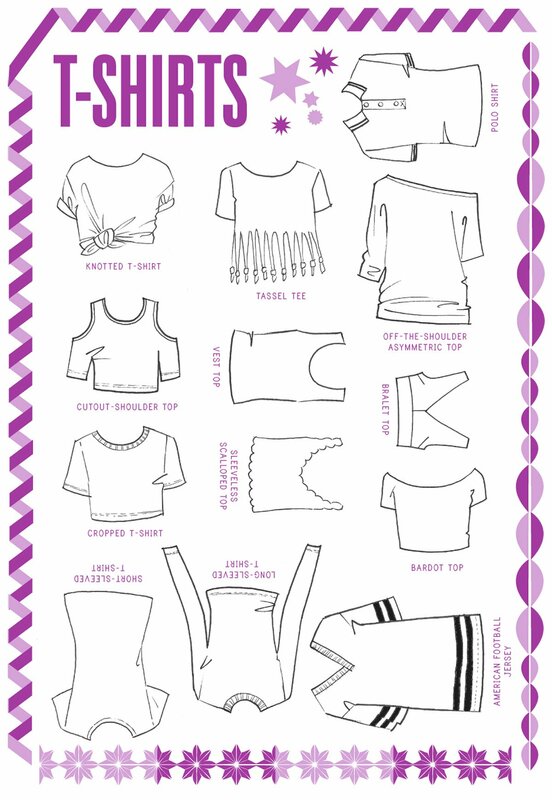 The pack is designed as a pad with pouch on the side to keep all the templates and designs, so they can pack their creations and make them on the go too, making it a great activity book to take away on trips. 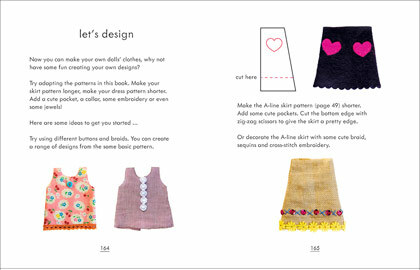 This beautifully packaged little hardback book offers a myriad of simple patterns to create clothes for dolls. 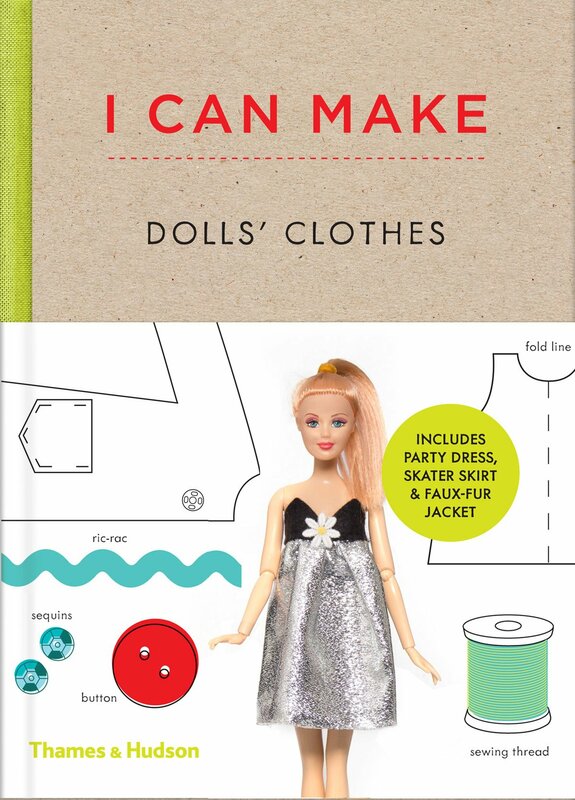 They will fit all standard 30cm dolls, so there is no need to use a branded doll for the purpose of this book; we certainly didn’t. Whether it is an A-line skirt or a faux-fur coat, there is something for every one to get their little hands on. 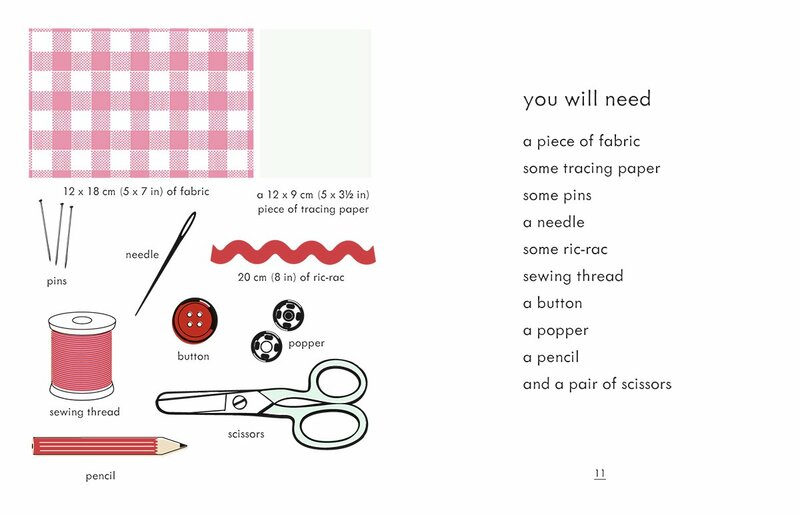 The patterns are the right size, the instructions very clear and paced well across the pages so children do not feel overwhelmed when following them. It didn’t turn out quite how she wanted but wasn’t bad for a first go. 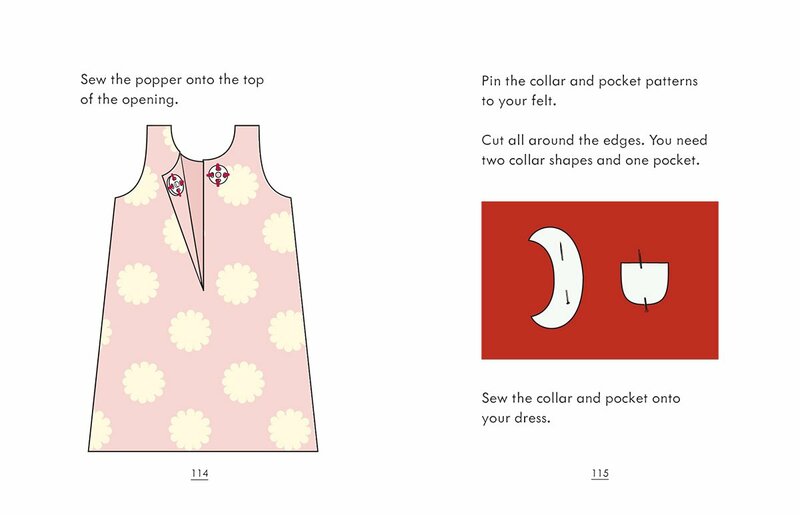 However, after this first try, I do feel a word of caution is needed: the book is supposed to be 7+, but my 10 year-old did struggle with some of the more fiddly bits (as the clothes are so small) and did need some assistance for some of it. This is in no way a criticism of the book which I would still recommend you to check out, but I certainly think it is better suited to slightly older children who will be a little bot more dexterous. 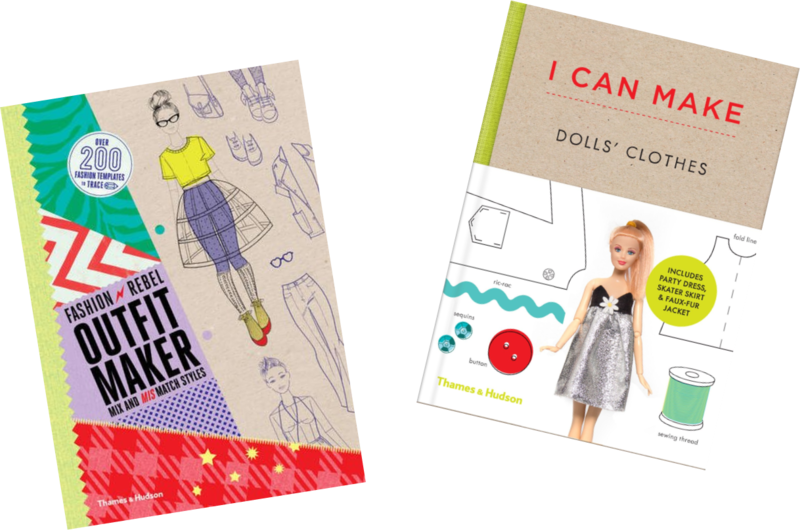 Both books will undoubtedly inspire readers to think more about designing and sewing clothes and will be a great addition to any aspiring fashion designer’s collection.